I’m afraid I can’t write a post for you tonight because I am too absorbed with Pinterest, which I never really explored before today. Ooh, pretty! Very distracting. I see the attraction now. Come visit me at pinterest.com/emmycooks/, wouldja? But here’s the nice thing about jam, I guess: it can happen in the background in fits and starts while you’re doing other things. (Cooking an elaborate Senegalese feast, for example, or fooling around on the internet.) Rinse the blueberries, pick off the stems and any hiding tiny snails. Run a load of jars and rings in the dishwasher. Crush the berries, juice a lime, measure the sugar. Bring the canner to a boil. Click, click, click. So much to see! There are so many things I want to cook out there. But how do I figure out who to follow? How do I find YOU? Please leave a Pinterest tutorial in the comments. Or just your best tip. Or your condemnation for going over to the dark side where I will probably just look at shiny things and daydream of a idealized, unattainable life and never actually cook again. Although that seems unlikely. I do love finding good ideas and sharing recipes, though. I love my many cookbooks, but I love the food blogging world even more because not only do you all have good ideas, you also talk back to me (which the cookbooks don’t). I see the potential for expanding that conversation through Pinterest, maybe, once I figure it out. Meanwhile, come visit. I’ll be the one looking a little confused, licking a spoonful of blueberry jam. 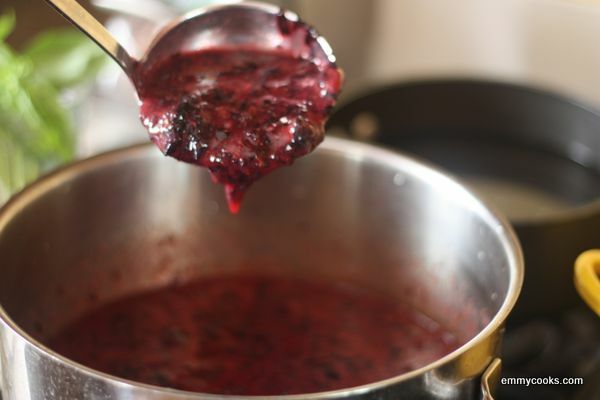 Blueberry Jam : I like to use Pomona’s pectin so that I can sweeten my jam to taste, and if you do the same you can just follow the recipe that comes in the box. 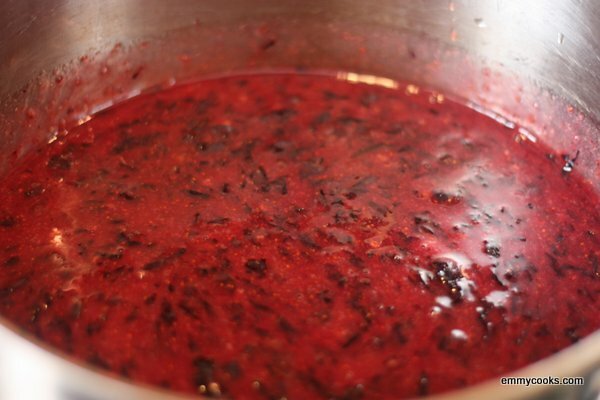 (In case you do use Pomona’s, and have berries that are exactly as sweet as mine, I’ll tell you that my taste-testers liked a ratio of 4 c. crushed fruit–about 8 c. whole berries–to 1 1/2 c. sugar, and we used lime juice instead of lemon.) Whatever pectin you use, be sure to follow the recipe that comes in the box, and if you use none at all be sure to follow a current recipe from a reliable source (I often refer to this USDA guide, myself). Happy jamming. This entry was posted in DIY, Feeding Kids, Food, Fruit, Recipes, Vegan or Would-Be-Just-As-Good-Vegan and tagged blueberries, jam, late adopter of technology, pinterest, summer fruit, summer recipes on August 13, 2012 by emmycooks. Also thanks for the canning guide link! Lovely! I’ve just discovered Pomona’s. And I also followed you on Pinterest ;-). I know just what you mean about Pinterest…it’s like sliding down the rabbit hole for me. That jam looks delicious! Love pomona’s!